Update your walker, cane, or crutches with Walker Buddezz FRAMZZ to add a personal touch. Walker Buddezz was the innovative idea of Chad Dollarhide, the creator and founder of the company. In addition to creating a unique device, Walker Buddezz developed FRAMZZ, which allow you to decorate your mobility device with a wallet-sized photo. Comes with everything you need to attach the device, in a choice of design and color. FRAMZZ increase motivation and make it easier to stand tall with confidence. Putting the Fun in Functional: Each FRAMZZ attaches to your walker, cane, crutch or rollator wherever you choose. Walker Buddezz' creator realized that creating fun and colorful covers, that represented the patient's individuality, could be an important element for the patient's emotional wellbeing. 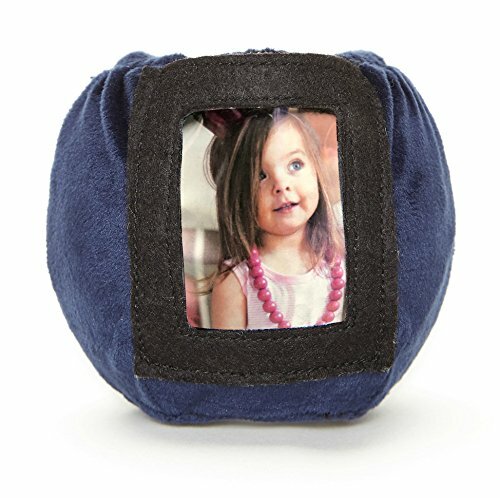 Photo-Ready: Insert a wallet-sized photo to instantly update your mobility device and keep your memories and loved ones close. Attaches using a Walker Buddezz SINGLEZZ kit, which lets you quickly and easily mount the FRAMZZ to your device. Simple and Tough: Easy to attach, use, and clean. Made of durable materials that won't easily rip or wear out. Created for You: It is estimated that 20-30 million people use walkers in the United States. Walker Buddezz was invented by physical therapist Chad Dollarhide, with an unrelenting passion to help people with mobility issues. This product has been tested over 2 years with clients at hospitals and rehab facilities and has three patents pending. Comes as individual FRAMZZ cover to attach to your device, as well as the SINGLEZZ to attach it. Walker Buddezz glides are sold separately in two-pack.